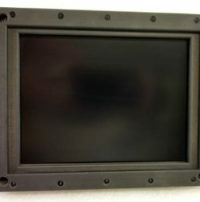 TOUCH SCREEN for Allen Bradley 2711-T10C8 Panelview 1000. Includes Warranty. 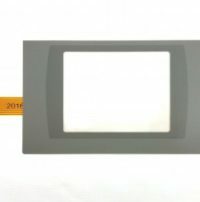 We have developed a replacement touchscreen for Allen Bradley Panelview 600 screen, with the protective overlay that is very easy to replace. This product performs exactly the same as the OEM replacement, for half the cost! You can order on-line or Contact Us for a quote on multiple quantity discount. Includes Warranty. 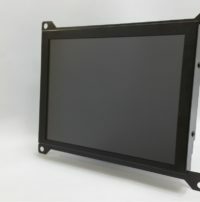 Premium LCD Panelmount Monitor for 12″ monochrome Heidenhain BE212 CRT inside TNC246, TNC2500B, TNC306, TNC335, TNC351, TNC360, CNC223, CNC322. 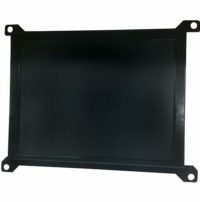 Premium LCD Panelmount Monitor for 12″ monochrome Heidenhain BE212 CRT inside TNC246, TNC2500B, TNC306, TNC335, TNC351, TNC360, CNC223, CNC322. To purchase this product simply click ADD TO CART. It is fast and secure, and if we get your order soon enough, we can ship it out the same day!! LCD Upgrade Kit for 9″ Prototrak MX2, MX3, AGE3, AGE2 CRT include cable kit and warranty. LCD Upgrade Kit for 9″ Prototrak MX2, MX3, AGE3, AGE2 CRT includes cable kit and warranty. Monitech works with many different suppliers to ensure that you receive a quality monitor, quickly, and for a fantastic price! The Prototrak LX2 is no exception. With customers from all over the the world looking to upgrade their Prototrak LX2 monitors, we have perfected the design of our LCD monitor to suit your needs, whatever they may be! To request a quote for a Prototrak LX2, please contact us. Monitech works with many different suppliers to ensure that you receive a quality monitor, quickly, and for a fantastic price! The Prototrak M3 is no exception. 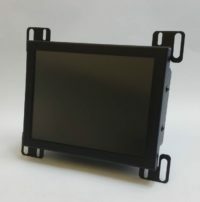 With customers from all over the world looking to upgrade their Prototrak M3 monitors, we have perfected the design of our LCD monitor to suit your needs, whatever they may be! To purchase the Prototrak M3, please click ADD TO CART. 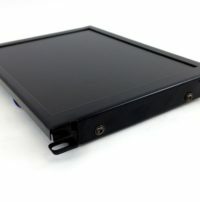 LCD Upgrade Kit for 9-inch Prototrak m2, MX2, MX3, AGE3, AGE2 CRT. Full cable kit for complete conversion. We always keep this item in stock, because it is very popular. MFG defect Warranty and limited Technical Support included in the price. Monitech works with many different suppliers to ensure that you receive a quality monitor, quickly, and for a fantastic price! The Selti ilapak VT400SP Control display (SL5.5 / VD5.5) is no exception. 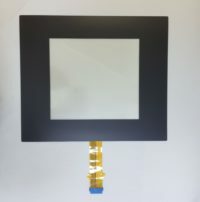 With customers from all over the world looking to upgrade their Selti VT400SP monitors, we have perfected the design of our LCD monitor to suit your needs, whatever they may be! To request a quote for a Selti VT400SP, please contact us. 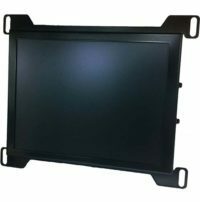 LCD Upgrade Kit for 12-inch monochrome Selti SL7002 CRT, Selti Elettronica SL/7002B, SL/7000. Full cable kit for complete conversion. Monitech works with many different suppliers to ensure that you receive a quality monitor, quickly, and for a fantastic price! The Selti SL7002 is no exception. With customers from all over the world looking to upgrade their Selti SL7002 monitors, we have perfected the design of our LCD monitor to suit your needs, whatever they may be! To request a quote for a Selti SL7002, please contact us. 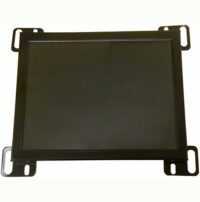 LCD Upgrade Kit for 14-inch color Selti SL8000 CRT, Selti Elettronica SL/8000. Full cable kit for complete conversion. Monitech works with many different suppliers to ensure that you receive a quality monitor, quickly, and for a fantastic price! The Selti SL8000 is no exception. With customers from all over the world looking to upgrade their Selti SL8000 monitors, we have perfected the design of our LCD monitor to suit your needs, whatever they may be! To purchase a Selti SL8000, please click ADD TO CART. 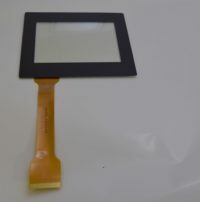 LCD Upgrade Kit for 14-inch color Selti SL8140 CRT, Selti Elettronica SL/8140103. Full cable kit for complete conversion. Monitech works with many different suppliers to ensure that you receive a quality monitor, quickly, and for a fantastic price! The Selti SL8140 is no exception. With customers from all over the world looking to upgrade their Selti SL8140 monitors, we have perfected the design of our LCD monitor to suit your needs, whatever they may be! To request a quote for a Selti SL8140, please contact us. LCD Upgrade Kit for 14-inch color Selti SL8514 CRT, Selti Elettronica SL/851042003, SL/85142003. Full cable kit for complete conversion. Monitech works with many different suppliers to ensure that you receive a quality monitor, quickly, and for a fantastic price! The Selti SL8500 is no exception. 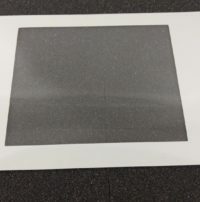 With customers from all over the world looking to upgrade their Selti L8500 monitors, we have perfected the design of our LCD monitor to suit your needs, whatever they may be! To purchase a Selti SL8500, please click ADD TO CART. Monitech works with many different suppliers to ensure that you receive a quality monitor, quickly, and for a fantastic price! The Selti SL8514 is no exception. With customers from all over the world looking to upgrade their Selti SL8514 monitors, we have perfected the design of our LCD monitor to suit your needs, whatever they may be! To request a quote for a Selti SL8514, please contact us. LCD Upgrade Kit for 14-inch color Selti SL8614 CRT, Selti Elettronica SL/8614. Full cable kit for complete conversion. Monitech works with many different suppliers to ensure that you receive a quality monitor, quickly, and for a fantastic price! The Selti SL8600 is no exception. With customers from all over the world looking to upgrade their Selti SL8600 monitors, we have perfected the design of our LCD monitor to suit your needs, whatever they may be! To purchase a Selti SL8600, please click ADD TO CART. Monitech works with many different suppliers to ensure that you receive a quality monitor, quickly, and for a fantastic price! The Selti SL8614 is no exception. With customers from all over the world looking to upgrade their Selti SL8614 monitors, we have perfected the design of our LCD monitor to suit your needs, whatever they may be! Topurchase a Selti SL8614, please click ADD TO CART. 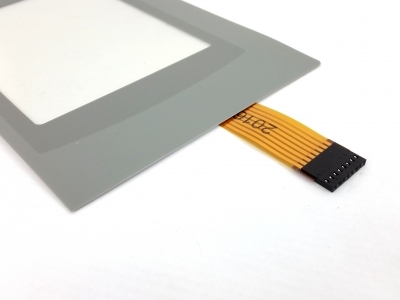 LCD Upgrade Kit for 9-inch monochrome Selti SLVD09702 CRT, Selti Elettronica SL/VD09702. Full cable kit for complete conversion. Monitech works with many different suppliers to ensure that you receive a quality monitor, quickly, and for a fantastic price! The Selti SLVD09702 is no exception. With customers from all over the world looking to upgrade their Selti SLVD09702 monitors, we have perfected the design of our LCD monitor to suit your needs, whatever they may be! To purchase a Selti SLVD09702, please click ADD TO CART. Monitech works with many different suppliers to ensure that you receive a quality monitor, quickly, and for a fantastic price! The Allen Bradley Series 9 is no exception. 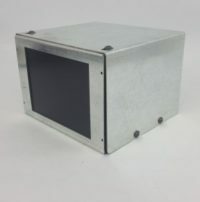 With customers from all over the world looking to upgrade their Allen Bradley Series 9 monitors, we have perfected the design of our LCD monitor to suit your needs, whatever they may be! To purchase the Series 9 Mono 8520 LCD just click ADD TO CART! It’s fast and secure.